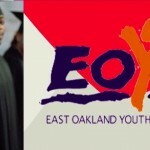 On July 5, 2014, a group of 14 African-American men departed the East Oakland Youth Development Center (EOYDC), en route to China. 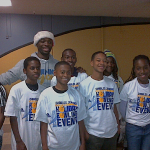 As these young men hugged their families goodbye, they left Deep East Oakland for a 14-day stay in the Far East. Somewhere along that nearly 14-hour flight, the group of young men turned into a delegation of diplomats–representing not only Oakland, but America as well. The young men, five undergraduate students and nine high school students, were accompanied by three chaperones (I was one of the three chaperones). The ages, personalities and learning styles of the young men were diverse, and this was by design. This method of mentorship was designed by Ms. Regina Jackson, CEO of EOYDC (and a chaperone on the trip as well), as a part of her organization’s Brotherhood Across America youth-led college mentoring model. Even more fitting: the community’s character, as shown through collective contributions, was a driving force in getting the young men to China. 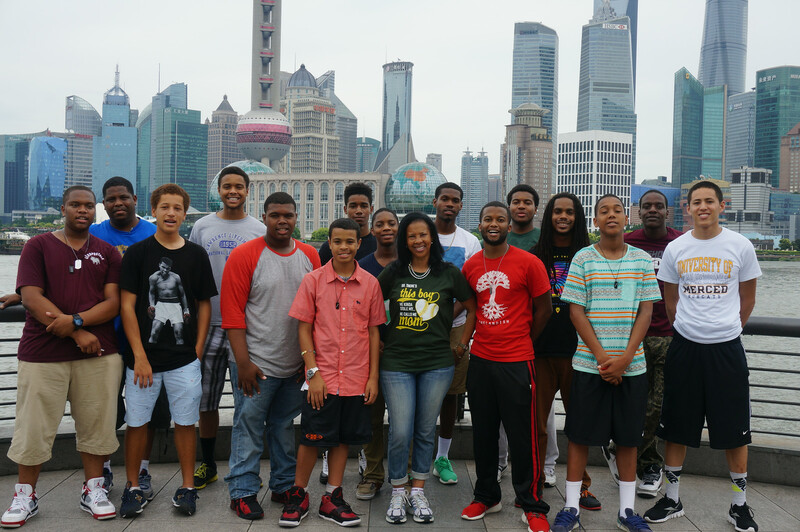 Sponsored by local businesses, churches and organizations, the group of young black men from Oakland, known as the Think China 2014 delegation, arrived in China with a world of support under their wings, and didn’t have to pay for a thing. 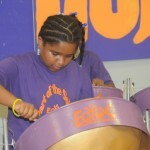 The voyage was also a part of the My Brother’s Keeper Initiative, which was signed by President Barack Obama earlier this year, as a part of the White House’s focus on education. 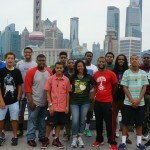 At its heart, the trip was a great opportunity for a cross-cultural exchange, where the young men could talk to college students from China about popular music and social media sites, while also giving the young men from Oakland an opportunity to weigh in on a discussion the people who work on the White House’s Education Initiative have been having around the core values it takes to educate young men. A dynamic discussion amongst the group resulted in the values of community, accountability, leadership and loyalty. The young men were held to that call. Because of the weight of their responsibilities, the gentlemen were lead through a rigorous schedule of classes and site visits, interspersed with character- / team-building activities and fine dining in China. The young men saw Buddhist temples in Hangzhou and department stores in Shanghai. They visited the Great Wall of China and the Xixi Wetland nature reserve. They went to automotive plants, visited multiple college campuses, made dumplings, learned Mandarin, studied the Chin Dynasty, talked modern politics, and even found time to eat KFC and Peking Duck (not at the same time). They drank lots of tea and ate plenty of rice. They searched endlessly for WiFi to talk to family members and girlfriends back home. They got “in trouble” every once in a while for talking during lectures or minor accounts of disrespect: reminders of the room for growth within these teenaged diplomats. They suffered from the humidity and the heat, and maintained their cool. A standout point was when people would take photos of the young men. At times, people would ask. Others would stand in the distance, with a friend taking a shot of the them–a shot that incorporated our band of brothers noticeably in the background. We were a sight to see. In the hotel lobby on the 1st day in China, a lady even asked one of the young men from the Think China 2014 Delegation to hold her baby and take a photo. The trend continued throughout the trip. Now there are a bunch of photos of future doctors and engineers floating around China. All of the young men journaled throughout the course of the trip, as was a requirement. Every day, a different young man would be held responsible for submitting a journal for publication through EOYDC’s website.